The weather is getting cooler, the days are getting shorter, and winter is just around the corner. You know that that means — it’s time to start planning for the holidays. The holidays are a stressful time of year for many, but that doesn’t mean you have to look any less fantastic. 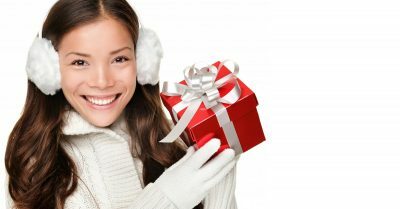 At Salon Muse in Winter Park, we’ll help you prepare yourself for all of your holiday events. Before your relatives bust out the camera and start snapping candid shots of you washing dishes in the kitchen, touch up your color, trim away those split ends, and look your best with a little help from our upscale salon. Our stylists will work with you to revitalize your style so you’ll look great, even when your eleven-year-old niece sneaks up on you with a camera in hand. If you’re looking to transform your style into something new, our experienced stylists are up to the challenge. Come to your appointment with an idea, or let our stylists come up with suggestions. Either way, we want you to feel beautiful inside and out. A fresh cut and a new color can make all the difference in how you feel about the holidays and the inevitable family photos. You’re about to enter into a season full of parties, seemingly endless preparations for family visits, and of course, the perpetual struggle of finding the right gift for that picky person in your life. Spoil yourself a little bit by scheduling a facial or a manicure and pedicure at our upscale salon. We promise you’ll leave feeling revitalized and rejuvenated. Contact us today to schedule an appointment with our experienced stylists. We look forward to helping you look and feel your best this holiday season!